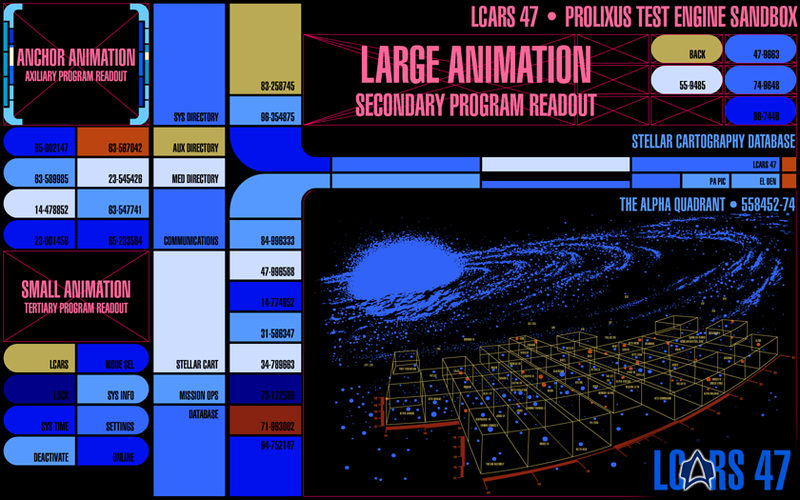 A huge overhaul is underway with the Federation Database. The new module will consist of everything we can think of... That's a lot of stuff. It truely is a monumental but highly rewarding task. 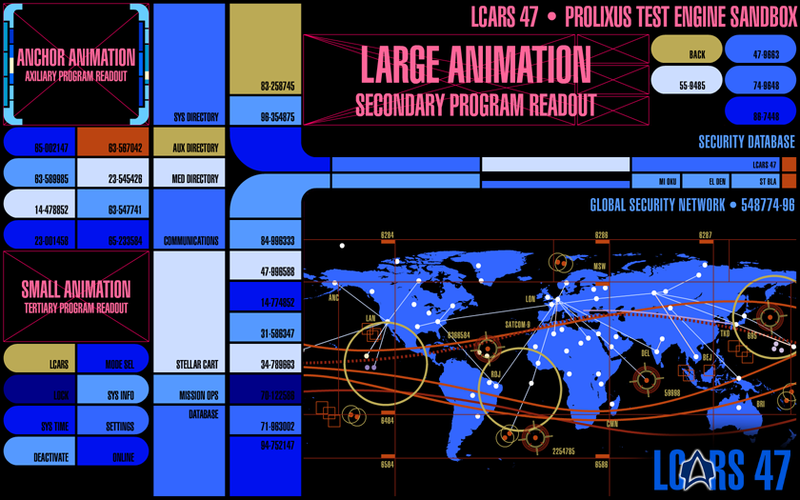 The first image to the left is a very famous cartograph of the Alpha Quadrant, the home of the United Federation of Planets. 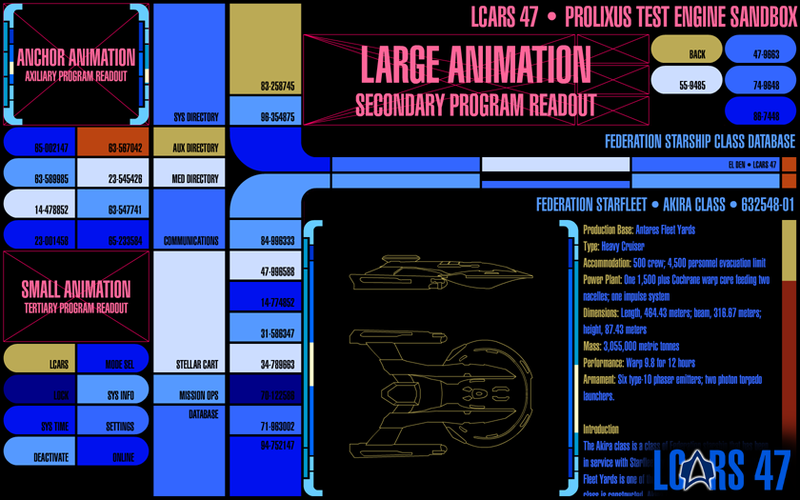 The image to the right is a database file containing information pertaining to the Akira class starship, one of my favorite classes. There will be a file on every single starship class ever seen in Star Trek, every shuttle type, every escape pod design. Needless to say, it's gonna be huge. We won't be adding fan made stuff though but we may add selected noncanon ships like the Valiant class as well as ships from certain games like Activision's Falcon class (Romulan). We'll also use commonly accepted noncanon names for ships with no official name (where no tech manual gives it a name), like the Venture class scout seen in Star Trek: Insurrection. The third image is something Stefan and I both worked on. He wanted to add this image since it has a ton of details. 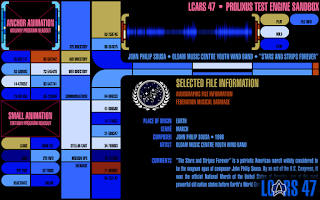 A new, bigger Federation musical database. I know that you've all Googled a particular tune you heard in Star Trek, from Vivaldi to Sousa (pictured, right). Why not have it all in one app—available whenever? 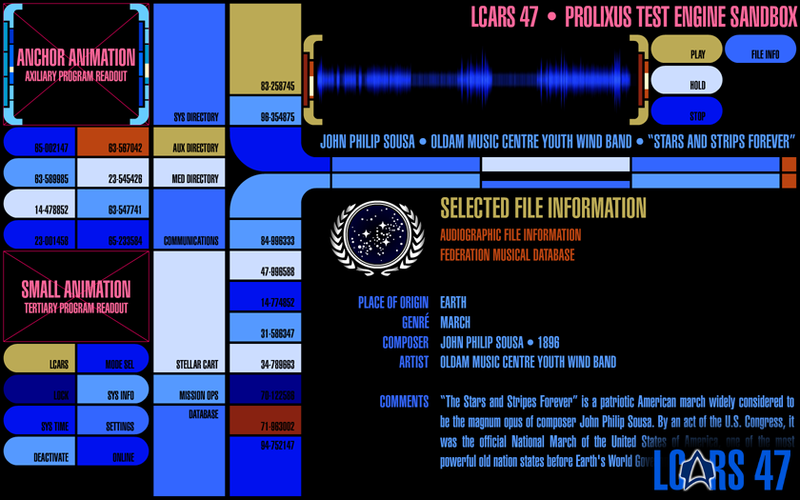 This will also include timeless Trek-unique pieces such as the already included Inner Light (but improved score). Federation Anthem? You got it! There's only one minor problem... all the music (and the recording) must be either in the public domain or fall under a Creative Commons license. It's a minor problem, but it's one we have to respect. Having said that, I've found a ton of public domain works and I, myself, play the piano... so you'll probably be hearing more of my hammering on the black and whites. On a quick side note, yes this database will be big. So it will not come with the main installer, but as an addon installer (much like the ever delayed Drydock plugins).